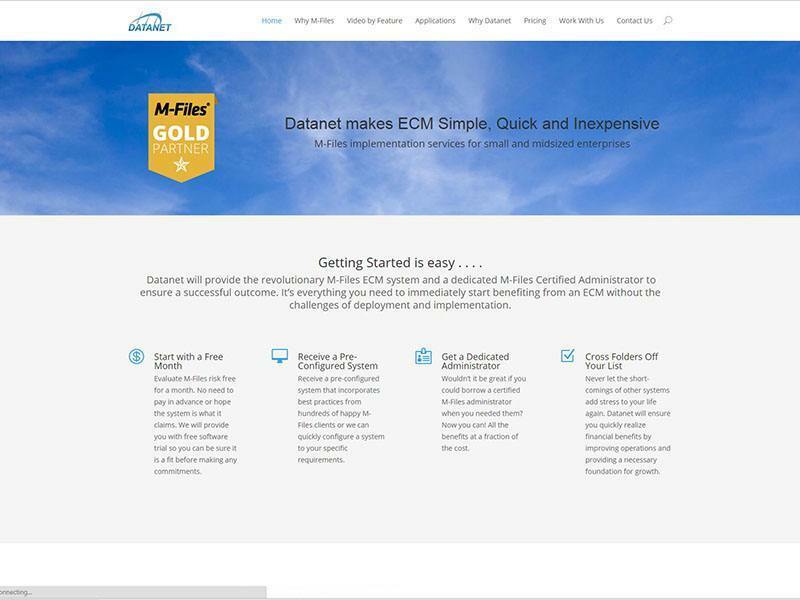 Datanet is a company based in the US (Florida) and Canada (Toronto) and is a world-wide leader in data management with products like M-Files. This project required a complete re-design to a mobile friendly state of the art website design that offers clients detailed product information, video tutorials, and technical whitepaper pdf downloads to potential clients and secure client login areas for existing clients. This project also required the fusion of both the US and Canadian websites into one core site and a server/hosting move and upgrade. This project was completed in 45 days and within budget.